The bathroom has to be always clean because germs and bacteria are developing very easily there. And the sink and bathtub are prone to collect all sort of tiny germs. That’s why you should clean them very often. And using chemicals often, your health can be in serious danger…that’s why you should call to natural products to clean your bathtub and sink. The bathroom tub and sink can be cleaned easily with white vinegar. Sprinkle over the bathtub and sink with some water, and then put absorbent paper all over their surface. Spread the vinegar over the entire surface and let it work for 30 minutes. Remove the absorbent paper and rinse thoroughly the tub or sink. Cut a lemon in half and put salt on each half. Let the salt to act for one minute and rub the sink and / or bathtub with it. If necessary, add salt. At the end, rinse it well. 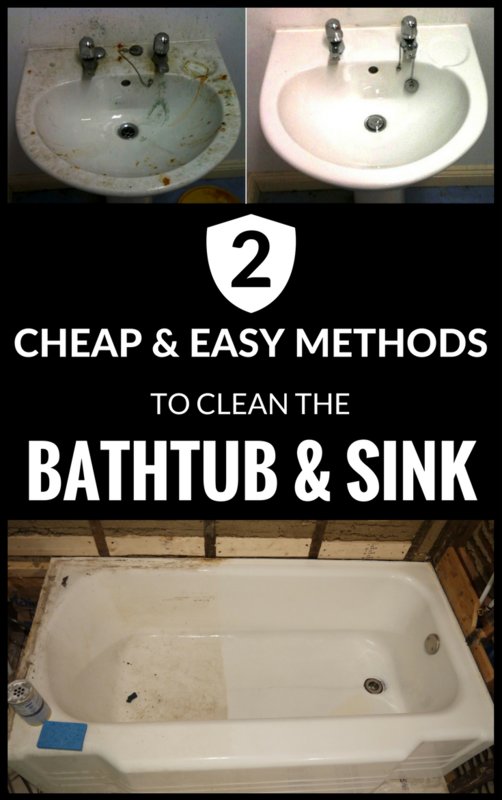 Your sink and your tub will look like new.